On a positive note, I again reached my writing goals this week, although partly because they changed. I finished the type-in through Chapter 11, then marked up Chapters 18 and 19, but decided against sending the first half to the beta readers at this point. 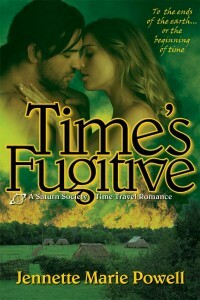 Because it’s time to face facts and come clean: Time’s Fugitive is going to be late. I’d wanted to release it about now; that’s not even close to happening. There were two reasons for this: 1) earlier on in this challenge, I wasn’t focused enough and tended to push the work aside when it was just too hard. The other, more insidious problem was that I grossly underestimated the amount of time this revision would take. My estimate was based on the revisions for Time’s Enemy, and while the lengths are similar, Time’s Enemy had already undergone several exhaustive revisions before I discovered Holly Listle’s How to Revise Your Novel system. So the Time’s Enemy revision was relatively painless, but Time’s Fugitive needed a lot more work, for me to make it into the book I wanted, with the quality that I’ve committed to delivering to my readers. One thing this challenge has taught me is what is a more realistic goal, and how to set that goal while taking in mind what else I have going on that week. This week, I knew I had two holiday events to attend today, plus decorating (my tree’s still not up :facepalm:) and getting Christmas cards out. I met my goal this week, but it wasn’t a super-aggressive one. It wasn’t easy, but it was doable. So that’s what I’ve learned through this challenge. The eighty days of ROW80 ends on December 22, so for my final writing goal, I’m going to keep it simple: one more chapter marked up. How about you? What have you learned lately about what you’re capable of, whether or not you’re a writer, or participating in ROW80? This entry was posted in Blog, ROW80 and tagged author, goals, good books, holidays, Jennette Marie Powell, romance, ROW80, time management, time travel, Time's Enemy, Time's Fugitive, writer, writing. I went through a period for a few months where I was hitting my goal of a new chapter a week very easily. But, as we got closer to Christmas and my vacation from work, it has been harder and the writing has been coming slower. I have had to learn to be a little easier on myself and realize that it will all come in its time. Thanks for the reminder! Can I get back to you on January 1st to see if I was capable of meeting my goal? The book is soooo close to ending, but the ending hasn’t “come” to me yet! I’m sure it will – it always does when I get this close, so I’m not panicking, not really. I’ve got some holiday days coming up (like I’m off this Friday, next Monday, and next Friday), and truly believe I’ll be finished with the first draft by then. I’m trying to stay positive – which is imperative when it comes to meeting goals, don’t you think? Emma – one of my challenges this ROW was setting goals in accordance with whatever else I had going on that week, and keeping that in mind (especially now!) has really made a difference. Thanks for stopping by! Stacy – keep up the good work! Knowing your limits – and how your creative process works – is key to being able to set, and make, realistic goals. Staying positive (while still being realistic) is so important, so keep up that positive thinking – You can do it! The holidays add so many things to our lives which do cause us to push aside some of our goals. Maybe that’s not such a bad thing. Think of the memories you’ll have because of the things you took part in that kept you from your original goals. I think you’re doing an awesome job. Thanks, Ali! One thing I’ve really focused on this holiday season is figuring out which stresses come from me, and can be cut out without affecting anyone else’s enjoyment. It’s really helped! I’m with you, Alberta – I also stopped doing the Wednesday check-ins, because I never had anything to report, and also because trying to think of an interesting post one more day was just too much. Thanks for stopping by! What I love so much about ROW80, outside of the wonderful support, is how it teaches us to set realistic goals and then adjust them as Life interferes or overwhelms us. Sometimes it feels better to get less done but accomplish a goal, than to get more done and feel like a failure because it was less than the plan. Hope to see you in Round 1 of 2012! Happy Holidays! Exactly, Tia! I’ll be there in 2012 – thanks for stopping by! Came here, reading the rounds of ROW80 final posts. What Alberta said, ditto. I suffered from some of the same issues as you did for ROW80 goals set, but put this down to the season, and not moving my own goals appropriately.